Prepare to be impressed by this designer decorated FULLY FURNISHED turn-key ready townhouse in the highly sought after gated community of Gran Paradiso. This home features over 1800 square feet, 3 bedrooms, 2 full bathrooms, a half bath, and an open concept living area that is perfect for everyday living or entertaining. Built in 2016, this home is better than new, with upgraded Fanimation fans throughout, designer one of a kind chandeliers, custom window treatments and paint, and so much more. This unit is perfect for a full time resident looking to move right in, a part time Floridian just looking for that perfect escape, or an investor, as it is fully furnished and appointed. Down to the last fork, knife, pink flamingo towel, and flat screen tv, this townhouse has over $25,000 in furnishings and accessories that are being left for your enjoyment. A beautiful water view is just off your back screened lanai, and a 1 car garage is a huge plus. Gran Paradiso offers a magnificent gated entry with 5 star amenities, such as resort style pool, tennis courts, fitness center, steam room, sauna, hot tub, and so much more! 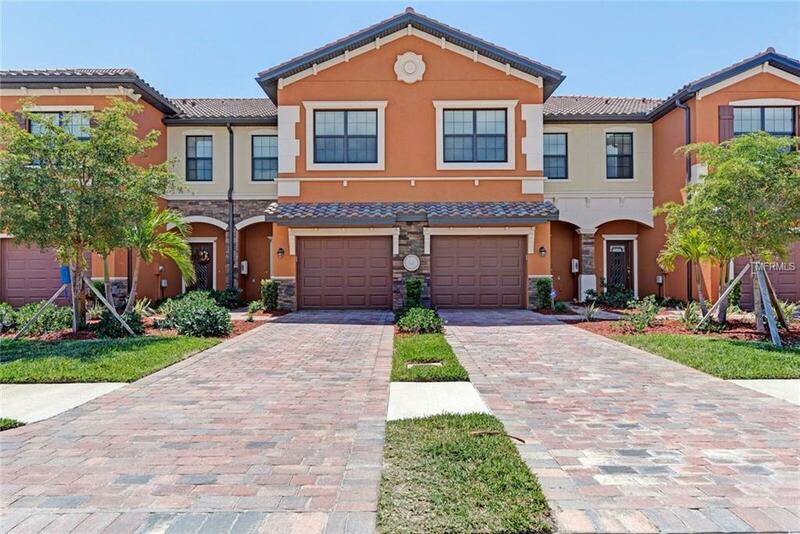 Just minutes to the local beaches and downtown Venice, and just down the road from the new Atlanta Braves Spring Training Stadium and soon to be built new town center, this townhouse is a steal of a deal!